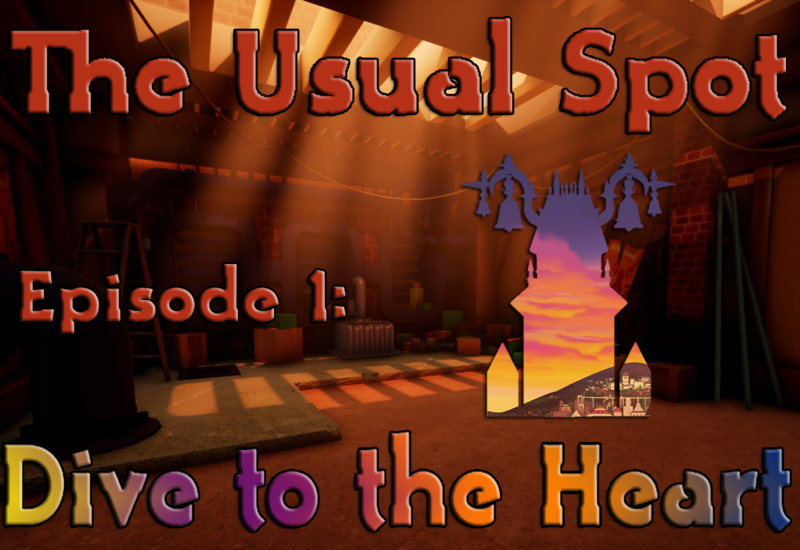 It is with great pleasure that we present to you the premiere episode of KH13.com's brand new Kingdom Hearts-centered podcast - The Usual Spot. Hosted by Toominator and SeaSaltShelby, this first episode is our Dive to the Heart; we tell you how we became fans of the series, list off our "favorites" and "least favorites" of the series, and end with a unique challenge. We quiz each other on our knowledge of boss fight quotes in Kingdom Hearts and Kingdom Hearts II. Come listen or watch, and see if you can do better! There are two unique experiences with our podcast. We will be simultaneously releasing episodes on YouTube and Podbean. YouTube allows you to watch the recording of our podcast, but is better saved for an online experience. Podbean allows you to listen to the audio file online, or you can download it to any device and listen to the episode on the go. The choice is yours! Click here to download or listen on Podbean! We plan on releasing episodes every other Sunday. Episode 2 will release on Sunday, November 11. We hope you enjoy the premiere episode of The Usual Spot! GamesCue Podcast - We talk games, gayms & geims. A New Podcast for Kingdom Hearts! Want to join? If anyone remembers our previous podcast (KingdomCast) we are changing the name and location. Message me for spots. We host this call on Skype. Check out our previous podcasts on my old channel. -> https://www.youtube.com/AikoPSN Twitter @KaitoAozora My new channel is -> https://www.youtube.com/channel/UCCDu_fa396oh3t2rdTNLaUw Want to collaborate? Message me on any platform, I will respond! Thank you. https://www.youtube.com/watch?v=JZowpAR2LiI Thank you everyone who joined in on our first episode. https://www.youtube.com/watch?v=M7_3RQkqE5c If anyone wants to join, message me or comment here! Thank you so much! Hey guys we recently just finished Episode 2 of the Kingdomcast its up and now available on iTunes, Android and If you have a computer we even have an RSS Feed. To Subscribe on iTunes/Iphone/Ipad/Itouch/Ipod - iTunes To Subscribe on Android - Android To Subscribe via RSS or Email(if you don't have a cellular device) - RSS , Email To watch the Youtube Video - https://www.youtube.com/watch?v=iyHHBF7JqPA Description of Episode 2 - In this episode we talk about the recently announced Kingdom Hearts 2.8 and Also the news given out about Kingdom hearts 3 in Tetsuya Nomura’s most recent interview! Noel and Jason also discuss various topics including the KH battle system and how its evolved and What disney / pixar worlds may or may not appear in KH3. In addition we have returning members such as Aaron from Episode 1 and new members including Aliahsan, Gilbert, NB, and Holo Fantasy!. Wanna be a part of the next KingdomCast Episode? Its simple just message either Jason(Masterfreakse) or Noel(Noel Hearts) on KH13.com. Alternatively you can Message me or noel on our respective twitters. Jason(@thedailyhype1) Noel(@NoelSenpai) or even at @Kingdomcast13. We hope to hear from and hope you enjoy being a part of the community!